Snowboarding vs. 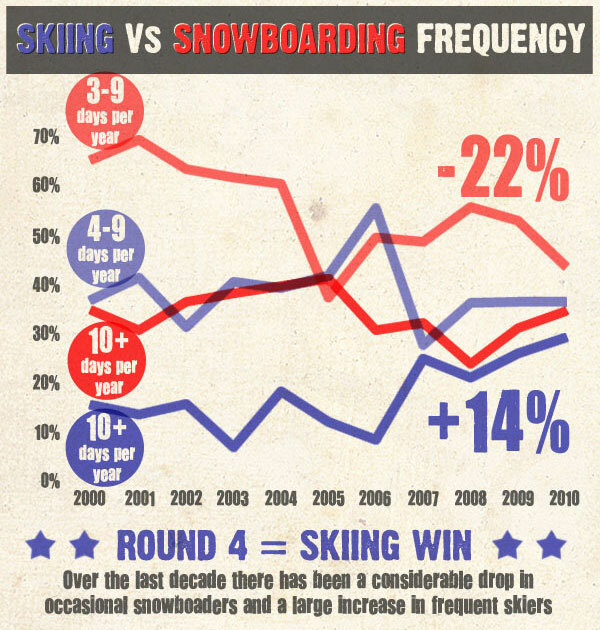 Skiing – Who’s Winning? 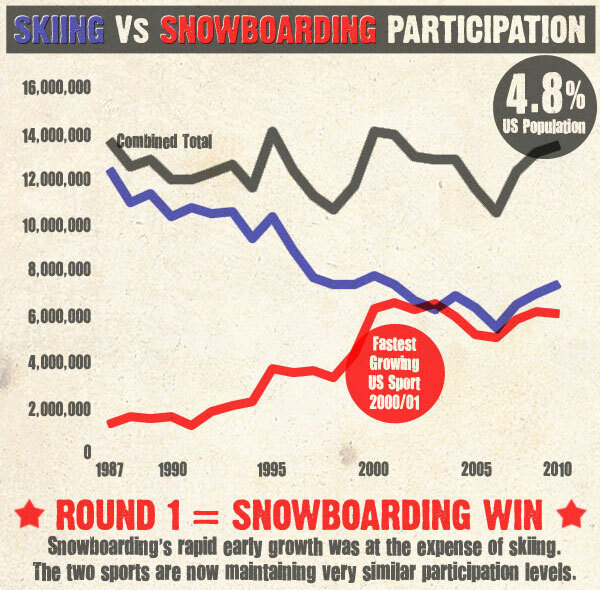 In the 90s the only conversation that anybody had in the world of winter sports was the snowboarding vs. skiing debate. Every single person had a fervent opinion on the subject apparently based loosely on something they thought they’d overheard someone say, one time in the pub. Over the years though, things have become more and more subdued as everyone slowly got a grip. Today the only people who still cling on to the hate are the occasional clueless punter (inevitably wearing a faded one-piece and rocking a pair of monstrously long straight-edge skis) who has somehow skipped an entire decade without noticing. Today there’s a whole generation of skiing and snowboarding kids that have no idea they should have an incredibly strong and misplaced opinion on the topic based on whether they happened to be given a snowboard or a pair of skis by Santa. For all those people who were still feverishly holding on to the grudge this will be a sad day, because now both sides are essentially the same group of fair-weather upper-middle class old men. 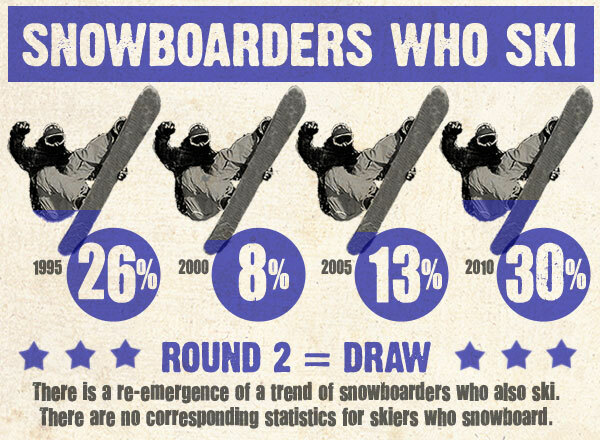 To be honest, even we were taken aback when we saw just how mainstream snowboarding has become. 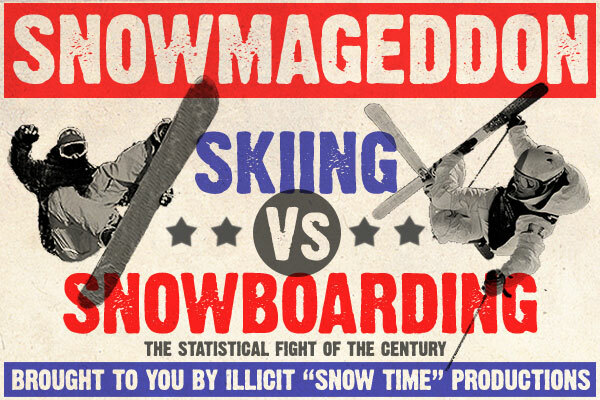 Enough of that, here’s a video of a proper skier vs. snowboarder fight. Presumably that fight started when they both realised that they had embarrassingly turned up in the same outfit. 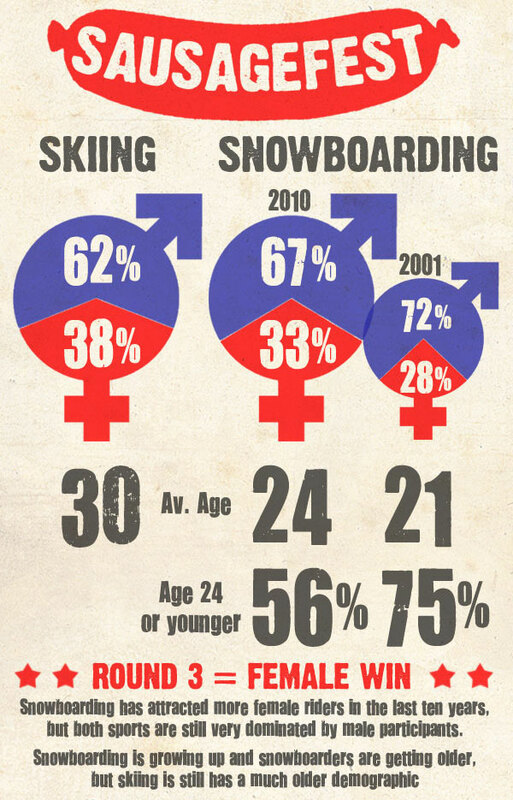 The Influences ofSnowboarding - How skiing and snowboarding influenced each other.